T-Mobile has announced that as of October 16, any of its customers exceeding 5 Gigabytes of data usage in one billing cycle will have their data speeds throttled, a measure apparently put in place to “ensure that all subscribers receive the best Web performance available”. It is thought (judging by T-Mobile’s statement) that only 1% of T-Mobile subscribers will be affected by the threshold, any customer found to have exceeded the limit will receive a free text message informing them that their allowance has been reached and data speeds will be reduced from then on (until the next billing cycle). 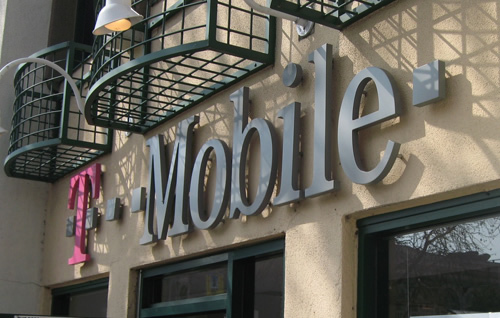 The move will come as a blow to T-Mobile customers who have just upgraded their devices to take advantage of T-Mobile’s HDSPA network, offering 3.5G data speeds across a large part of the US. With quicker and more widespread coverage, customers will find their allowances quickly eaten up as they consume more content. That said, bandwidth is a commodity, you can expect far worse from carriers in the future, we assure you of that. Beginning on October 16, T-Mobile will begin to reduce data speeds when a customer reaches 5GB of usage in a billing cycle, in accordance with T-Mobile terms and conditions. This change should only affect extreme data users (less than 1 percent) and is being made to ensure that all subscribers receive the best Web performance available by limiting the number of extreme data users on our network. The majority of T-Mobile customers should not be affected by this change. The new 5 GB threshold limit, which is equivalent to approximately 125,000 yahoo.com page visits, is enough bandwidth to satisfy most customers’ Web and data needs. If a customer happens to reach the 5GB limit, they will receive a free text message informing them their data speed will be reduced. Customers will continue to have Web browsing capabilities but at slower speeds, which will be determined by their device type. Once their new billing cycle begins, data speeds will no longer be restricted. Customers can track their data usage through My T-Mobile, MyAccount, or the SIVR.